He is accused of making false statements denying involvement in terrorist plots. Born in Syria, Kodaimati became a naturalized U.S. citizen in2008 and traveled to Turkey and Syria. After returning to San Diego in March, he was questioned by border agents, then arrested by the FBI and San Diego Joint Terrorism Task Force agents. 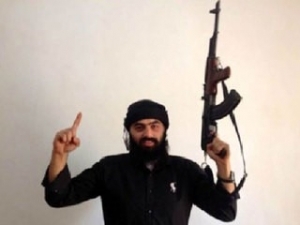 Federal authorities contend that he lied when he denied being involved in fighting, being involved with al-Nusrah, firing a weapon, working at a Sharia Court and knowing members of the Islamic State, also known as ISIL or ISIS. According to FBI special agent Darrell Foxworth, Kodaimati’s arrest was not related to the arrests last week of Somali men in San Diego trying to travel to Syria to join ISIL.